Home » Current Affairs » Political correctness attacks Christmas…again. It’s just around the corner. 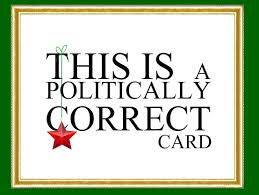 Another Christmas season is upon us, and as we have become so accustomed, there is already news out about the ‘political correctness’ of everything Christmas. 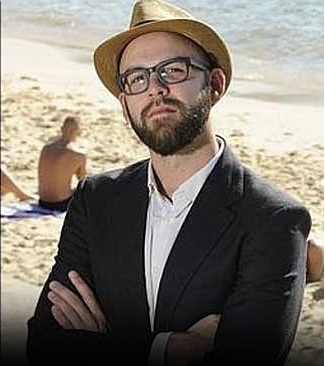 Unsurprisingly, the first to throw his hat into the ring this year is a NSW councillor from the Australian Greens. Councillor Matthew Robertson mocked the Woollahra council’s decision to host a Christmas party at the end of the year. In true Grinch style, he cried that the council wanted “their turkey and all the trimmings” before declaring that it should not be called a Christmas party for fear of offending those who are not Christian. The problem, apparently, is the word ‘Christ’ in Christmas. Of course, such thinking works on the premise that Christmas is still widely recognised solely as a Christian holiday – which I strongly suggest it is not. Sure, it has strong religious links and the term actually means ‘Christ’s Mass’, but the billions of people around the world who celebrate on December the 25th are certainly not all Christians. My family celebrate it every year, as do our friends and their families, and most of us are either agnostic or atheist. In fact, many of the traditions associated with Christmas descend from ancient pagan rituals that gradually absorbed into the Christmas festival as people converted to Christianity. Gift giving, festivals, the feast, lights, greenery – all these customs were derived from pagans in the midst of the winter solstice as they prepared for the hard months ahead. Yuletide was a festival observed by ancient Germanic tribes long before Christ was even thought about. So the notion that Christmas can be pigeon holed as a festival suitable to only Christians is a foolish conclusion to make. The holiday has experienced many changes of face as it reflects the cultural and social characteristics of its time. The concept of Santa Claus may have its roots in Christian history (as it’s derived from Saint Nicholas of the 4th century, a man known for his generous gifts to the poor), but the popular image of Santa as a large, jolly, bearded man in a red suit did not become popularised until the 19th century. The original feast day for St Nicholas was also on December 6th, before it was moved to coincide with Christmas Day. Therefore, given that history and secular culture supports the argument that Christmas is and can be a celebration for everyone, shouldn’t the emphasis be on encouraging people to enjoy the celebration rather than trying to rebadge it or hide it? In recent years we’ve seen kindergartens replace Santas with clowns, and we’ve seen apprehension on the part of shopping centres and local councils when it comes to placing Christmas decorations in public spaces. Sure, it goes without saying that not everyone celebrates Christmas, but if we follow the path that councillors like Matt Robertson want us to follow, we will be defying one of the main pillars this society is built upon – tolerance. Don’t wish to recognise or celebrate Christmas? Fine, but don’t expect others to hide their love of it. Tolerate it. The Australian Greens say this themselves on their website: The Australian Greens want Australia to be a cohesive community that respects and is accepting of diverse cultures and backgrounds. Respect diverse cultures and backgrounds. It would seem this principle only extends to minority groups, since there’s a continued tendency from this movement to deride and mock the mainstream. Christmas celebrations should not be changed to cater for groups who don’t identify strongly with it, in the same way that festivals in the Jewish or Islamic community should not be altered to cater for groups who don’t identify strongly with them. By trying to accommodate everyone, we end up second guessing and mocking ourselves. Nothing to celebrate about that. 2 Comments on Political correctness attacks Christmas…again.